It’s fair to say that employers across Ontario were prepared for the provincial government to introduce at least some labour reforms as part of the Changing Workplaces Review, which put everything from the province’s employment standards to human rights legislation under the microscope. But few expected the dramatic labour and employment law overhaul introduced by the Wynne Liberals in recent weeks. Indeed, the provincial government is planning major changes to its employment standards legislation in areas such as pay equity, work scheduling, employee classification, paid vacation allowances, personal emergency leave and enforcement and compliance—Queen’s Park intends to hire approximately 175 new employment standards officers to ensure that employers follow these new rules. The extent of the proposed changes are exhaustive and will pose major challenges for business owners, managers and HR professionals as compliance deadlines come into effect in the months and years ahead. For a full list of the government’s proposed changes and their significance to employers, take the opportunity to read this extensive overview (hyperlink to: http://www.williamshrlaw.com/2017/06/05/new-employment-and-labour-law-legislation-the-fair-workplacesbetter-jobs-act-2017-potentially-coming-to-workplaces-across-ontario/) prepared by our colleagues at Williams HR Law. 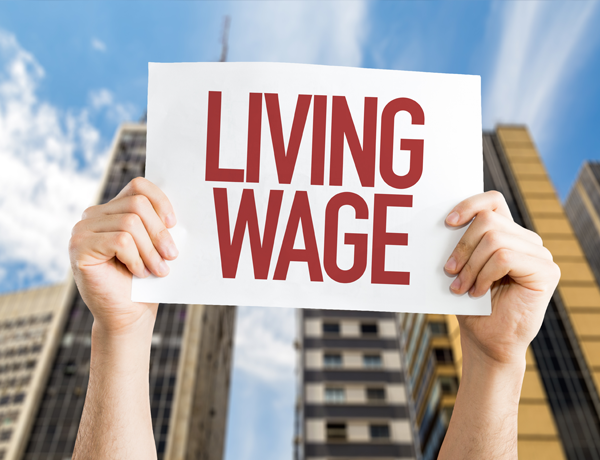 One of the most significant changes, and the one that will be acutely felt by employers across the province, is the planned increase in the minimum wage. The general minimum wage would be increased from its current rate of $11.40 per hour to $14.00 per hour on January 1, 2018, and would be increased again to $15.00 per hour on January 1, 2019. Thereafter, the minimum wage would continue to increase in accordance with inflation. The special minimum wage rates for certain categories of workers, including liquor servers, would remain different from the general minimum wage rate but would be increased during the same timeframes by the same proportion as the general rate. Under the proposed changes to the general minimum wage, more than a quarter (25%) of Ontario workers would receive a pay increase. Now, the obvious significance for organizations is the impact that the minimum wage boost will have on their bottom-line. Many employers, particularly small and medium-sized ones that rely on lower-waged workers, will struggle to adjust to the heightened financial burden of having to pay their employees nearly 30 per cent more. But what many business leaders and HR professionals may overlook are the range of other issues that emerge when a change such as this one is introduced. Organizations of all sizes will incur significant costs—which will inevitably be more difficult for small and medium-sized businesses to absorb—as they re-examine their salary and revenue structures to see if they can afford to continue operating at current staff levels. Some may be forced to adjust headcount by laying off some employees, cutting hours, engaging more contractors—or using some combination of measures to simply make ends meet. Most employers will also need to adjust their pay grids to account for the prospective increase in the minimum wage. For hourly employees, for example, organizations must change their salary structures and pay increase schedules, while also adjusting their budgets to account for the impending jump in the minimum wage. The same goes for merit pay systems. Because many organizations have their fiscal year end and complete their annual fiscal cycle on April 30th, merit pool increases may need to be lowered or frozen to account for wage increases and ensuing budgetary pressures. This, in turn, has the potential to upset employees who might be anticipating a raise for a job well done. Indeed, their expected pay bump may be delayed, posing a challenge for HR associates who may now have to explain management’s decision to keep wage increases in check. Other areas that may be affected include your organization’s pension contribution budget. Remember, if your company maintains a defined contribution plan with a matching component, those contributions may need to be adjusted to account for the minimum wage increase. Benefits and insurance coverage will also require modification. Then there are your team’s training budgets. Even these could be impacted because rising salary costs could make it cost-prohibitive for your organization to engage in protracted training sessions with some or all of your employees. Lastly, unionized workplaces will need to review their union agreements, nearly all of which have fixed-wage grids (and potentially pay-equity grids), that will need to be recalibrated. While workers are hailing this significant increase in the minimum wage, HR professionals are keeping their champagne corks firmly in place, rolling up their sleeves and making this province-wide pay hike work for their organizations.